So here is my dilemma….I do not like the instant coffee choices available for the trail. I like fresh brewed coffee (snob, maybe). I also am following the old adage, “ounces equals pounds and pounds equal pain”. What to do? I have looked at several options for brewing coffee on the trail and this is just a list of a few I have tried. This method is basically boiling ground coffee. You put two tablespoons of any kind of coffee per 8oz of water. Put the coffee into the pot and then add the water. Bring this mixture to a boil, the coffee grounds will float to the top. Boil a couple minutes, then remove from the fire and let sit for a couple more minutes, then pour in a small amount cool water into the pot. This combination of sitting and cool water will help the coffee grounds settle to the bottom of the pot. It’s as easy as that. The result is a strong and bitter coffee. Not my cup of tea…errr…coffee. 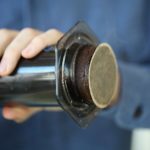 You purchase a travel coffee filter basket similar to GSI Ultralight Java Drip or the MSR MugMate Coffee/Tea Filter that places right onto your pot or mug, you’ll put your coffee in a filter and place that in the device. Then, pour your hot water through and let it steep. The result is a decent cup of coffee and it is light weight. It is messy and the cleanup is a pain. Remember, leave not trace. The french press is just a narrow pot/pitcher of sorts with a metal or nylon filter at the end of a plunger. It uses coarse ground coffee and you let the coffee steep in hot water (not boiling) for about two minutes. You then press down on the plunger (the press) to force all the coffee grounds to the bottom of the pot. The French Press makes a rich, delicious cup of coffee and it is light weight (if you have the cup/pot). Some examples are the GSI Personal Java Press and the MSR Windburner Coffee Press. Both of these options add ounces depending on the setup of choice and if you already have the cook system required. Cleanup is messy as well. The AeroPress is similar to the french press, but without the messy cleanup. It comes in at 8 ounces (I know, ounces equal pain) with just the plunger and filter. This is how I make my morning coffee everyday and I love it. The cleanup is simple and requires you only to push the plunger all the way through and remove the corresponding “coffee puck”. Now I have to decide if I really want my morning coffee or to save my knees from the dreadful 1/2 pound of additional weight. Who knew I would have to make such life choices to go on my hike. Have you tried Starbucks Via? I haven’t met someone who didn’t think it was an acceptable coffee out camping. Not yet. My brother also told me I should try them. I will give them a try this weekend and let you know. Thanks. I recently decided to take Republic of Tea’s HiCaf tea with me. It’s not coffee, but it seems like a good alternative for me (I really hate instant coffees of all kinds). I’m the kind of coffee snob who buys beans frequently for freshness, grinds only right before brewing in a burr (not blade) grinder, goes for organic beans, and uses a French press daily. Starbucks Via off the trail is bitter, harsh, and tough to swallow for me. But I took it on my thru hike. On trail, it’s de-freaking-licious. Every time a friend back home asked me what to put in a care package that was my first request, because you can’t get it most trail towns. Try Folger coffee bags—just like tea bags…makes a good cup of coffee…..Enjoy..! It has to be great coffee or no coffee. I quit coffee once and it spared me a lot of inconvenience and I had more energy. But I love it. 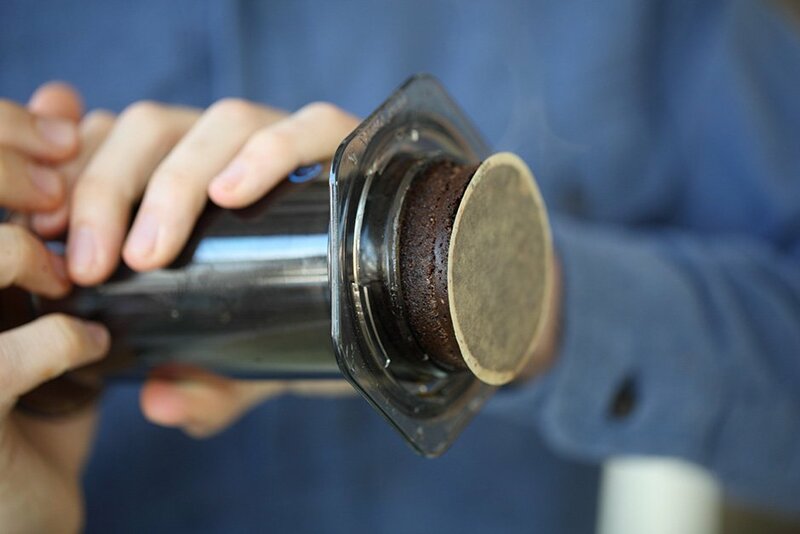 Aeropress sounds like the best solution when you consider cleanup.